Recovery from exercise training is an integral component of the overall training program and is essential for optimal performance and improvement. Athletes ability to recuperate from exercise is highly variable which is determined by a person’s training status, genetic factors, sleep, factors of fatigue, and a person’s diet. Athletes that do not recover from exercise run the risk of decreased muscle recuperation, performance, and an overall decrease in health. Muscle recovery can be enhanced thru proper supplementation, leading to the ability of athletes to perform at higher training volumes and intensities without the detrimental effects of overtraining. 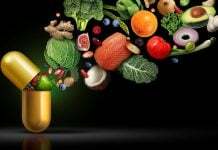 To adequately refuel your body and prepare it for your next workout, you need to consider pre-, intra-, and post-workout supplements. The repair process starts immediately after your last set is completed, but consuming a high quality whey protein isolate rich in amino acids pre-exercise is like putting on sunblock before going into the sun—it’s protecting your muscles before the damage begins. Whey protein isolate is the highest percentage protein you can find on the market. Whey protein isolates are fat-free, are very low in carbs, and are lactose free. Adults who are sensitive to the small amount of lactose found in whey protein concentrate, then these lactose-free whey isolates are an ideal choice. This makes whey isolates ideal for those dieters trying to dramatically reduce carb consumption or bodybuilders trying to cut-up right before a contest. Whey protein Isolate does a whole lot more than just enhance protein synthesis. Whey protein contains glutathione, which is a potent antioxidant. Thus, whey protein has potent antioxidant properties both in muscle and in liver. Another less well known fact about whey protein is that when researchers administered two groups’ identical doses of protein (whey protein vs casein protein), the whey protein group had larger increases in muscle mass at the end of the study. These results suggest that the potent biochemical antioxidant actions of whey protein mediated a reduction in cellular damage from resistance exercise in muscle, resulting in enhanced muscle mass. 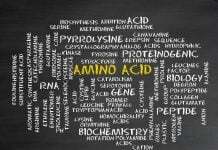 Back in the 90’s Essential Amino Acid tablets (EAA’s) were the most commonly consumed supplement by athletes but the new research suggests that whey protein is superior for muscle gains and recuperation. Researchers administered a dose to dose comparison and administered 15 grams of whey protein which contains roughly 7 grams of EAA and compared it to an equivalent EAA dose (6.72 grams of EAA). At the end of the study, the researchers found that whey protein resulted in greater anabolic effects than EAA when compared dose per dose. The study reported that EAA are not solely responsible for the anabolic properties of whey protein. Both doses of essential amino acids and the whey protein had identical amino acid content so there is something in whey that is enhances muscle anabolism. The researchers hypothesized that the increase in the plasma concentration of the amino acid cysteine from whey protein, which has previously been found to augment muscle protein anabolism, may have enhanced muscle protein synthesis. Whey protein resulted in a greater insulin response than EAA, which also could have augmented the anabolic actions of whey protein. Muscle anabolism due to exercise and nutrient intake is influenced by various factors, such as the type of protein. Previous research has been documented that a rapidly absorbed protein such as whey isolate is going to lead to a greater insulin and amino acid response than a casein protein. New research suggests that having a whey protein isolate shake may be the most anabolic supplement you can take. 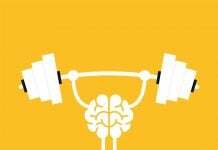 In a previous study, researchers randomly assigned subjects to consume a whey protein shake before and immediately after exercise, while another group got a drink that looked and tasted exactly the same as the whey protein shake but was just a placebo (i.e. flavored water) . Neither the subjects nor the researchers knew who was getting the whey protein and who was getting the placebo drink. 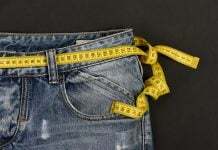 There was no difference between the daily protein, carbohydrate, fat, and total calorie consumption between the two groups; the only difference was a whey protein shake added before and after exercise. So how much of an effect can two little whey protein shakes make? The men performed resistance exercise for 21 weeks; at the end of the study, the subjects who consumed as little as 15 grams of whey protein before and after exercise had greater increases in muscle mass than the control group. The group that consumed the whey protein before and after exercise had greater increase in muscle quadriceps compared to the control group. Of the muscle strength variables, whey protein intake had a positive effect only in isometric leg force production in the leg press (the increase was greater than the control group). So here you have two groups doing the exact same exercises and workouts, yet a simple whey protein shake was the only difference for those who got bigger. 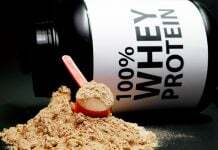 Whey Protein and Carbohydrates Enhances Muscle Recuperation! After a workout, your muscles needed to be replenished with nutrients to repair muscle damage—in simple terms, skeletal muscle is like a sponge looking to soak to nutrients. That’s why you want to consume a post-exercise whey protein/carbohydrate blend. 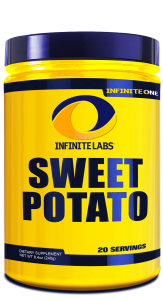 Complex carbohydrates such as those found in sweet potatoes have been shown to play a crucial role in lean muscle development, energy output, metabolic function, and insulin release and muscle recovery. 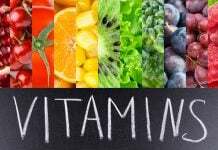 These carbohydrates form muscle glycogen, the fuel that supports muscle contraction and overall function. Additionally, by maintaining constant blood sugar levels, they have been suggested to assist in the reduction of fat storage and fatigue, while simultaneously supporting the release of insulin—the body’s natural anabolic hormone essential for lean muscle growth. Combining whey protein and complex carbohydrates leads to enhanced insulin production, which acts like a firehose to shuttle amino acids into muscle. A recent study reported that post-exercise with a whey protein/carbohydrate beverage with some added leucine resulted in a ~250 % greater insulin response compared with a carbohydrate alone beverage. Combining whey protein and carbohydrates can lead to enhanced muscle recuperation from muscle damaging workouts. In a previous research study published in the Journal of the International Society of Sports Nutrition, researchers had men perform a bout of eccentric leg exercise, which is known to induce muscle damage. Performing eccentric exercise results in large muscle trauma, muscle fiber disruption, and cell swelling accompanied by an increase in immune mediators rushing to repair muscle damage. Following the resistance exercise session, participants were randomized in a double blind placebo controlled fashion into two groups: carbohydrate only or whey protein and carbohydrate. Participants consumed 1.5 g/kg.bw/day supplement (30 grams consumed immediately, and then once with breakfast, lunch, in the afternoon and after the evening meal) for a period of 14 days following a heavy eccentric contraction based resistance exercise session, consisting of 4 sets of 10 reps at 120 percent of maximum voluntary contraction on the leg press, leg extension and leg curls. The researchers reported that the men consuming whey protein isolate and carbohydrate beverage supplementation elicited improved muscle strength in the days following contraction induced eccentric muscle damage. The whey protein/carbohydrate group also had less markers of muscle damage, which may be due to the potent antioxidant abilities of whey protein, but also the higher leucine and branched chain amino acid content of whey may enhance muscle recuperation as well. Whey protein and carbohydrates taken immediately post-exercise has been clinically proven to enhance muscle recuperation. In a recent double-blind, placebo-controlled study following weight training, participants were randomized into two groups: carbohydrates only, and whey protein-carbohydrates only. Participants consumed 1.5 g/kg.bw/ day supplement (~30g consumed with breakfast, lunch, in the afternoon, after the evening meal, and immediately after exercise) for a period of 14 days following eccentric contraction-based resistance exercise sessions consisting of four sets of 10 repetitions at 120% of maximum voluntary contraction on the leg press, leg extension, and leg flexion machine. The researchers found that the subjects consuming whey protein isolate supplementation and carbohydrates elicited improved muscle strength in the days following contraction-induced eccentric muscle damage. The whey protein and carbohydrate group also had fewer markers of muscle damage, which may be due to not only the potent antioxidant abilities of whey protein, but also the higher leucine and branched chain amino acid content of whey (which may enhance muscle recuperation as well). Protein/carbohydrate timing is essential, especially when it comes to what athletes eat after engaging in strength and conditioning training. Eating a combination of carbohydrates and protein within 30 mins post-workout helps maximize muscle synthesis, muscle function and decreases muscle breakdown. This occurs because this is the time that muscles experience a heightened sensitivity to insulin. 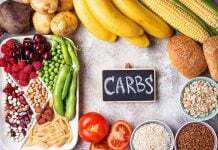 Additionally, consuming the right combination of carbohydrates to protein, in a 4:1 ratio, is associated with faster glycogen replenishment in the muscles, better muscle protein synthesis, reduced muscle soreness and improved muscle strength and body composition. Thus, the recipe for optimal post-exercise recovery is taking advantage of the 30 min recovery window and choosing foods that portray the 4:1 ratio of carbohydrates to protein.